Since apples are really a fruit of the fall, I guess I could be accused of pushing the season (but not in a lameefficient let’s-buy-new-school-supplies-in-July kind of way). But summer makes me think of carnivals and festivals (a little shout-out for the Calgary Stampede July 3-12, 2015, a.k.a RIGHT NOW – Mr. Golden Graham’s hometown, yee-haw, ya-hoo! ), and carnivals make me think of candy apples! And deep-fried Oreos. But I don’t have an overnight oatmeal for that. Yet. So back to the candy apples. 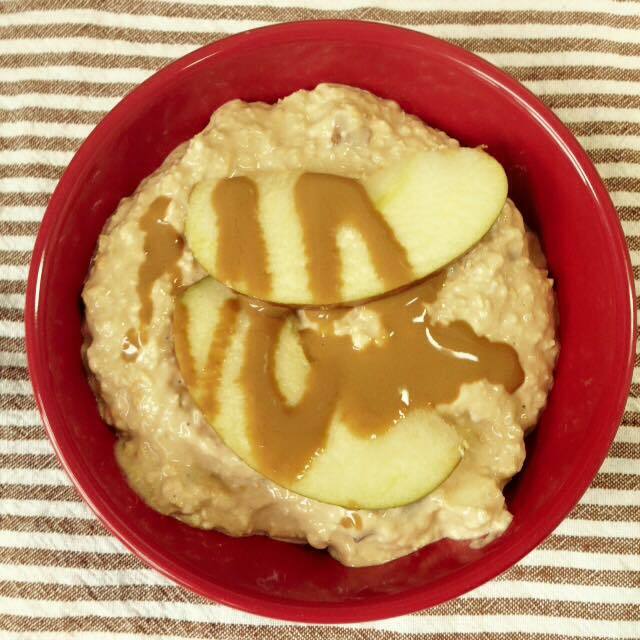 Sticky, sweet and, well, apple-y, this overnight oatmeal has captured it all but without the sugar. And regret. 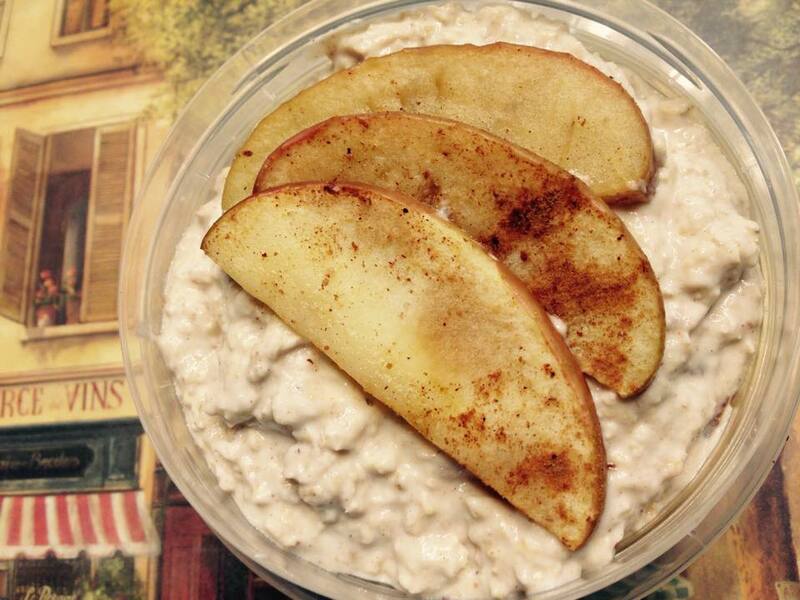 No-regret oatmeal! Catchy, isn’t it? 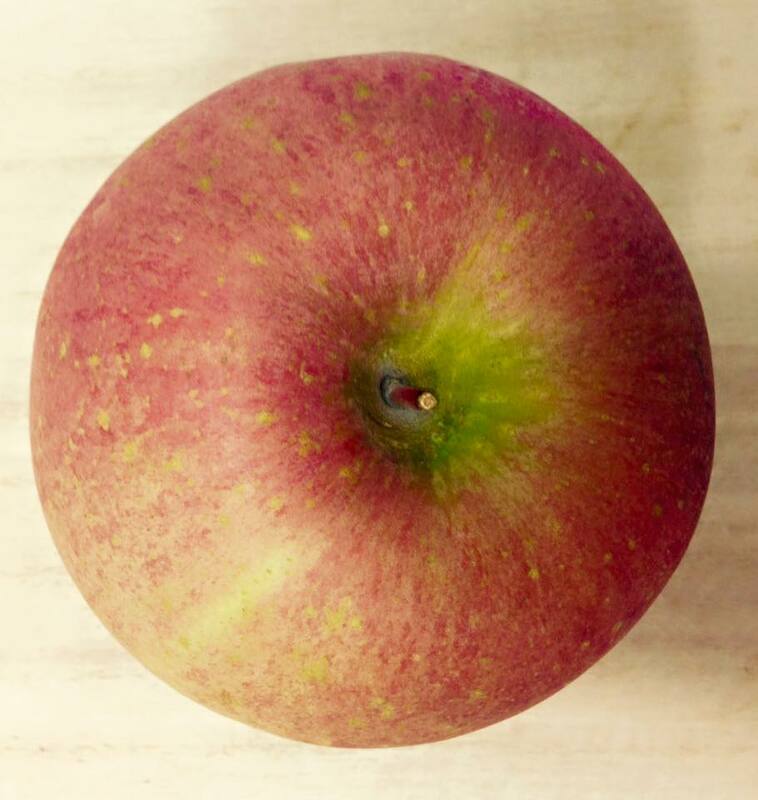 Thankfully we don’t have to wait for fall for orchards’ bounty to supply us with fresh apples. Somehow they are in stock in the produce section of the grocery store year-round. No wonder Johnny Appleseed did so well with them. Start with a fresh, ripe apple and wash it well. 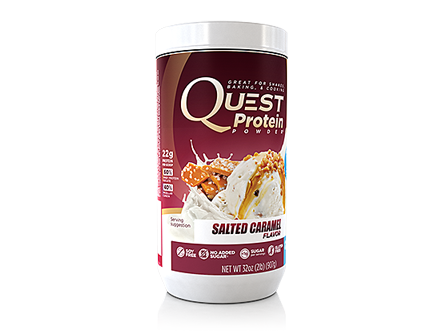 New Quest Salted Cararmel Flavor Protein Powder. Back to fairs – what was or is your favorite fair(s) to check out? As pre-teens and teens, we always loved when the (pardon the expression) carnies rolled into town and took over a mall parking lot with their garish frippery and rickety rides. I was a child of suburbia – we weren’t “rural” enough to have a proper 4-H agricultural fair and we weren’t “city” enough to attract any big-ticket shows (like Cirque de Soleil or Ringling Brothers or Barnum & Bailey). Just being allowed out of our parents’ sight – all-access bracelet a bonus – was attraction enough. Relive the attraction with this recipe! 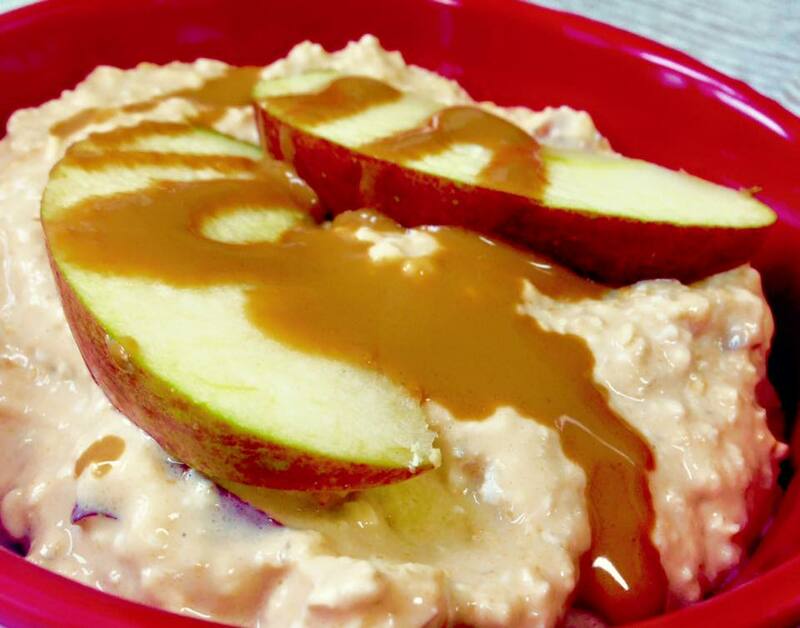 Sweet and salty pair up in this not-so-sticky take on a classic caramel apple. Enjoy the flavours of a fairground treat without the refined sugar & regret! 1. 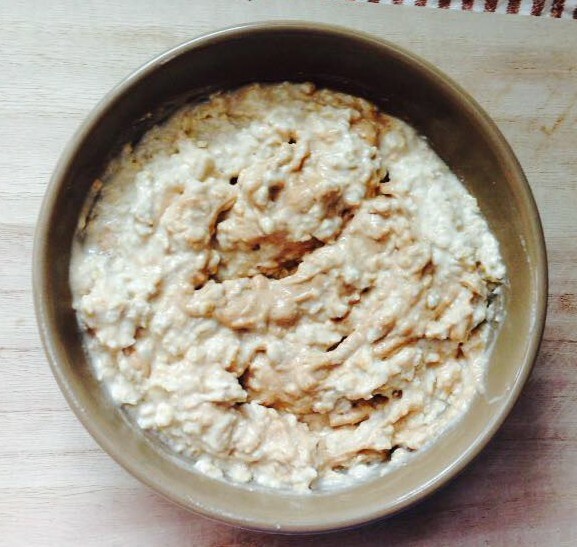 Stir the oats and protein powder in a medium mixing bowl. 2. Add the almond milk and yogurt and mix thoroughly. 3. Reserving a few slices for garnish, stir the chopped apples into the mixture. 4. Divide the mixture into two wide-mouth Mason jars or containers, garnish with reserved apple slices, sprinkle with sea salt and refrigerate overnight. Drizzle with caramel syrup, if using, before serving. Note the recipe easily halves for single servings or multiplies for more. Enjoy straight out of the fridge – all you need is a spoon! 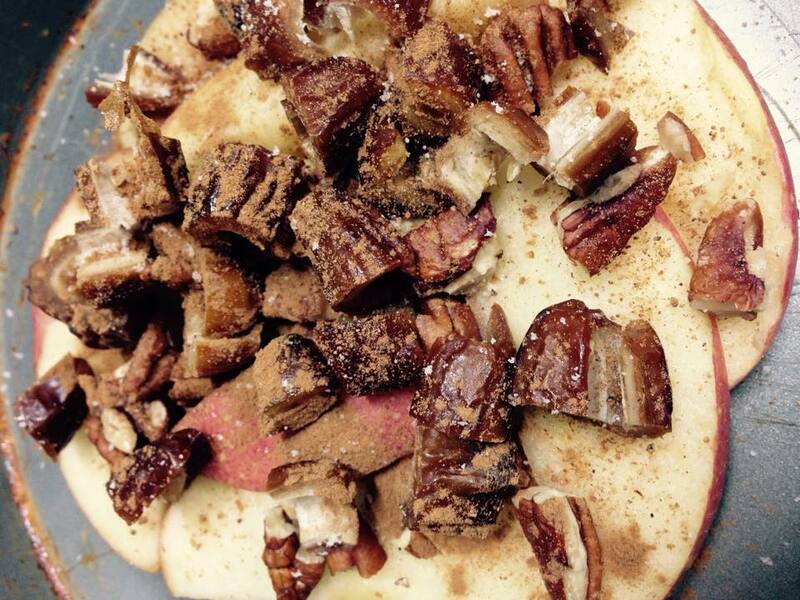 You can serve it hot or cold and you’ll have all the taste of a caramel apple without the sticky mess to clean up!